It can be expensive to buy a good quality muesli. It is, however, very easy to make and a satisfying task to make your own. This is 'sort of' a recipe because I don't use specific quantities of the ingredients. I simply go by what looks right, and make enough to fit in the jar I store it in. Put the oven on about 150 - 160 C. Spread about 3 good handfuls of chopped nuts out over a baking tray and place in the oven for about 20 mins, or until lightly roasted. The roasted nuts give the muesli a delicious flavour. Grab a big bowl and pour in about 4 - 5 cups of oats. Add about 3 good handfuls each of pumpkin and sunflower seeds. Add less of the sesame seeds. Add about 3/4 cup of coconut if using, and then sprinkle some cinnamon through the muesli - about 1 teaspoon. 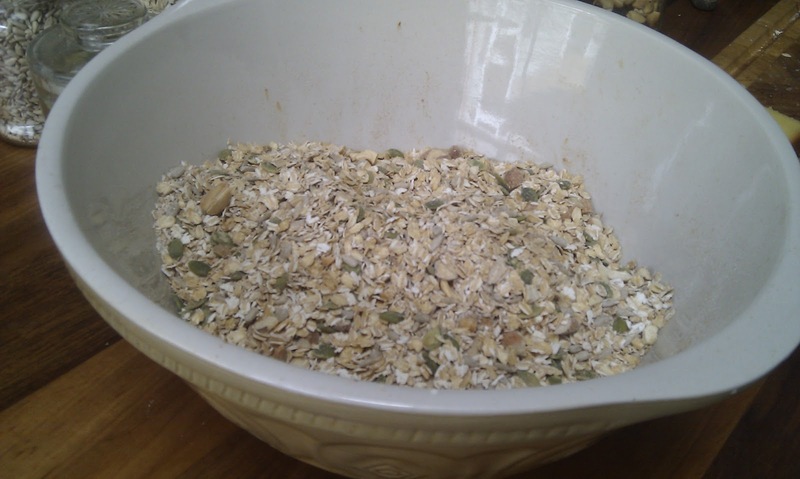 Stir everything together with a big spoon, and there you have it - your very own muesli! 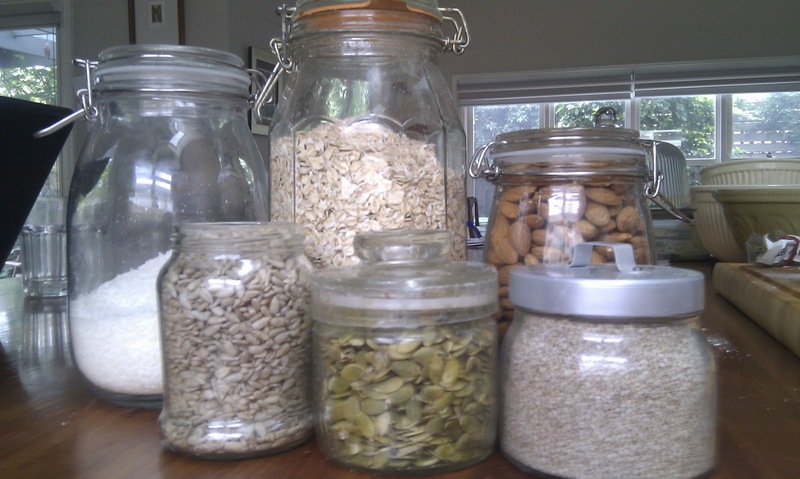 Store in an air-tight glass jar or container. The cinnamon gives a lovely flavour, and it is very good for helping to keep blood sugar levels stable. I don't like to use any dried fruit as I think it is too much sugar for breakfast. It's not a good idea to start the day off on a sugar (even the dried fruit kind) rollercoaster!